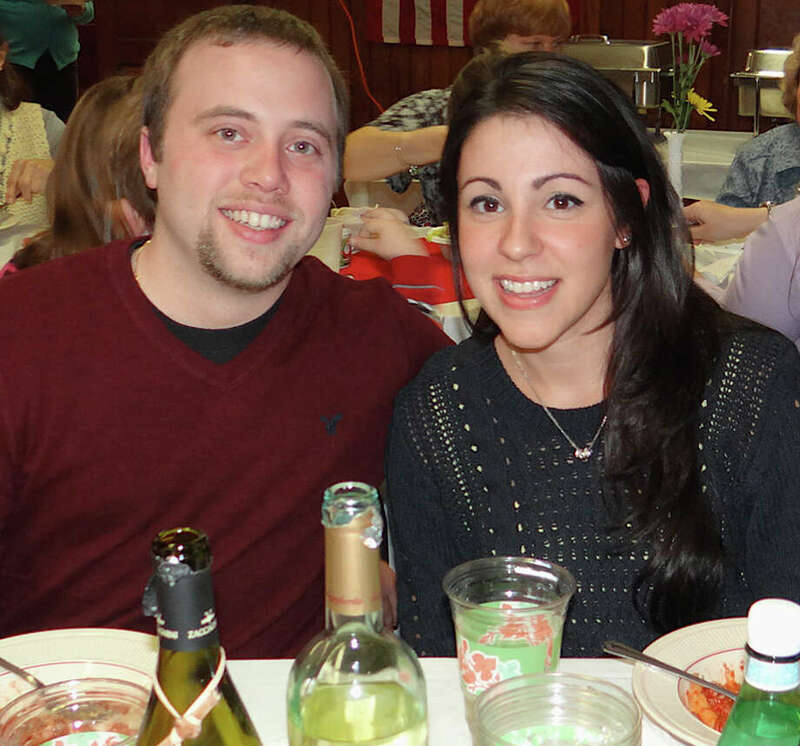 Peter DeMonte and Erica Tranquillo enjoy the Pasta Night fundraiser gathering at Greenfield Hill Grange on Saturday evening. When it was founded more than 120 years ago, the Greenfield Hill Grange was a place where local farmers gathered to talk shop and socialize. The agricultural community that once was the foundation of the grange's membership is almost entirely gone now, but the Hillside Road organization now is a place that continues to support state farms and sustainability efforts, and still is a place where the community can come together to socialize. On Saturday, good food and company were both plentiful as the grange hosted a pasta dinner, which also raised money for its operation and maintenance. The hearty fare included ziti, homemade meatballs, sausage, garlic bread, tossed salad and cheesecake with coffee. Many of the diners brought along their own wine and beer to add to the good cheer. Among those enjoying the dinner were state Rep. Kim Fawcett and Representative Town Meeting member Jay Wolk. Musical entertainment, including acoustic guitar by Beth Bradley, capped the evening.